Retired June 1, 1948. Died April 1, 1967. 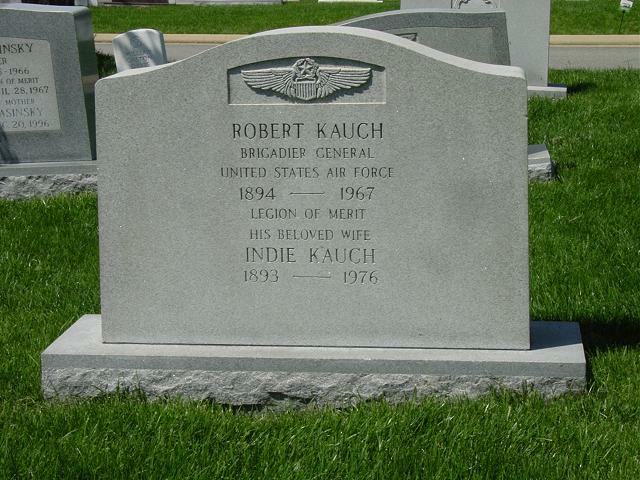 Robert Kauch was born in Phidalphia, Pennsylvania, in 1894. After attending the Franklin Institute in Philadelphia, he was commissioned a Second Lieutenant in the Infantry Reserve, December 16, 1916, and called to active duty the following May. His first service was with the Officers' Training Corps at Fort Niagara, New York. In August 1917, he was promoted to First Lieutenant and assigned to the 316th Infantry at Camp Meade, Maryland. He began flying the following May and in August graduated from the flying school at Kelly Field, Texas, and assigned to Wright Field, Ohio. In October he went to Payne Field, Miss., and two months later transferred to Rockwe11 Field, California. The following July he joined the 91st Aero Squadron at Mather Field, California. On July 1, 1920, he was commissioned a First Lieutenant in the Air Service of the Regular Army, and that same date received his promotion to Captain. The following May he went to McCook, Ohio, as chief of the Armament Section of the Air Service Engineering Division. Four years later, he went to the Philippine Wanda Islands where he became ordnance officer at Camp Nichols and commanding Officer of the 66th Service Squadron. In July 1927, he returned to the United States for procurement planning duty at Wright Field. In July 1928, be became chief of the Production Planning Branch of the Air Corps Material Division at Wright Field. He entered the Air Corps Tactical School at Maxwell Field, Alabama, in September 1931, and upon graduation the following June was appointed commander of the 22nd Observation Squadron at Brooks Field, Texas. He became adjutant of the 12th observation Group at Brooks Field in October 1933, and assumed command of the new group in May 1935. He was assigned to the office of the Chief of Air Corps in Washington, in April 1936, for duty in the Training and Operations Division. From September 1939, to June 1940, he attended the Army Industrial College in Washington and upon graduation went Maxwell Field as assistant director of the Air Corps Board. In September 1941, he became director of the Air Corps Board and Proving Grounds at Eglin Field, Florida. Three months later he went to Hempstead, New York, as commanding officer of the First Air Service Area Command, and in October 1942, joined the Ninth Air Force in France. The following March he became deputy director of Maintenance and Supply of the Mediterranean Air Command, and in May of that year was a appointed commanding general of the Mediterranean Air Transport Command. He returned to the United States in September 1944, for assignment to the Air Force headquarters where he became chief of the Air Installations Division. 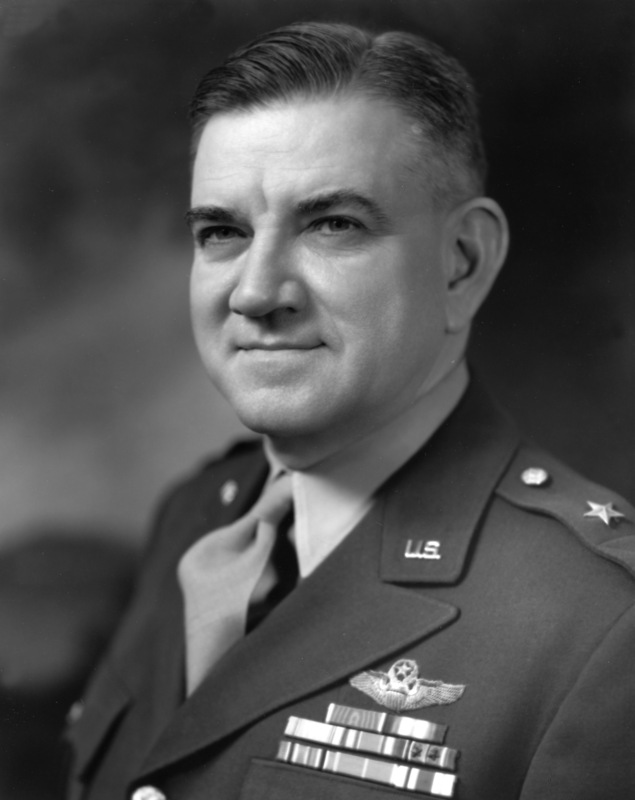 In October 1947 he became director of Air Installations under the Deputy Chief of Staff for Materiel, and on Oct. 14 was assigned to the Research and Engineering Division at USAF headquarters. Rated a command pilot, combat observer, and aircraft observer, General Kauch has been awarded the Legion of Merit.